Welcome to Airgym, the world leading pioneer of inflatable sports equipment. 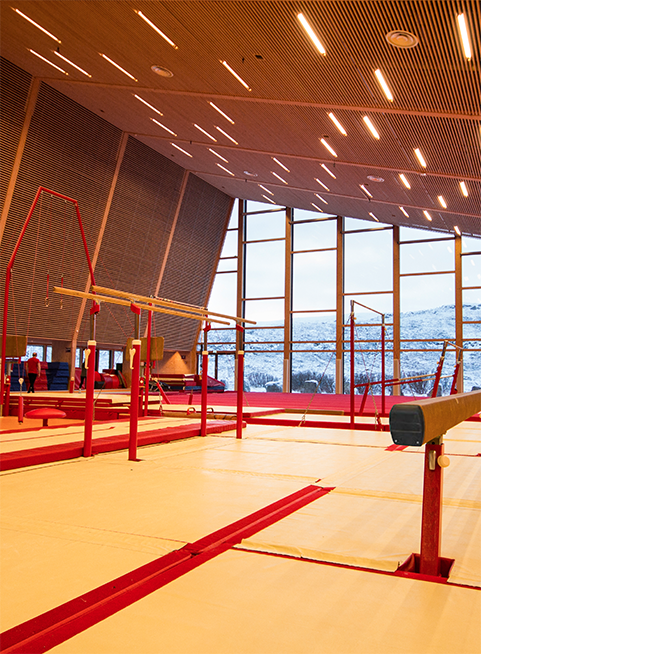 With more than 35 years experience in the field we manufacture a wide range of professional and custom-built gymnastic products. All products are developed and manufactured in our own European factory. With decades of experience and close partnerships with users of all skill levels we developed two distinct product series. At Airgym we always aspire to deliver the best quality. That is why we only work with the highest quality of components and raw materials, such as the revolutionary woven Double Wall Fabric(DWF) produced by our German supplier HEYtex. Users of all kind around the world prefer the hi-tech woven DWF because it is simply the best. The unique material makes our products the bounciest, strongest, lightest, most supple and durable available. Using the latest techniques, our equipment is handmade by craftsmen making sure you can fully focus on achieving higher levels without having to worry about safety. Airgym is all about offering each customer the utmost level of innovation, design, and safety in inflatable products. 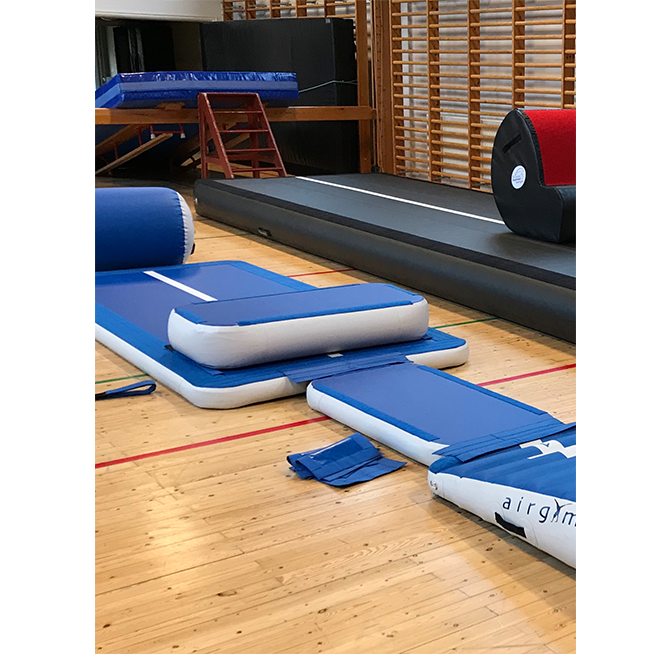 Together with world-renowned gymnastic coaches and top athletes, we have managed to build the highest quality Airtracks in the World. Our drive to create the best in class products also resulted in unique training modules like the Air Pit and Air Tunnel which hold a patent. And we will not stop here: we will continue to push the limits and work hard to remain the key player in the growth of inflatable equipment industry. Airgym’s worldwide network of distributors allows us to provide fitting solutions for the specific needs of everyone, in every market. Contact your local distributor and we’ll be happy to explain what Airgym can do for you. Easy to handle, easy to use - hard to compete with. Air Tracks from Airgroup truly are an evolution in tumbling training aids. 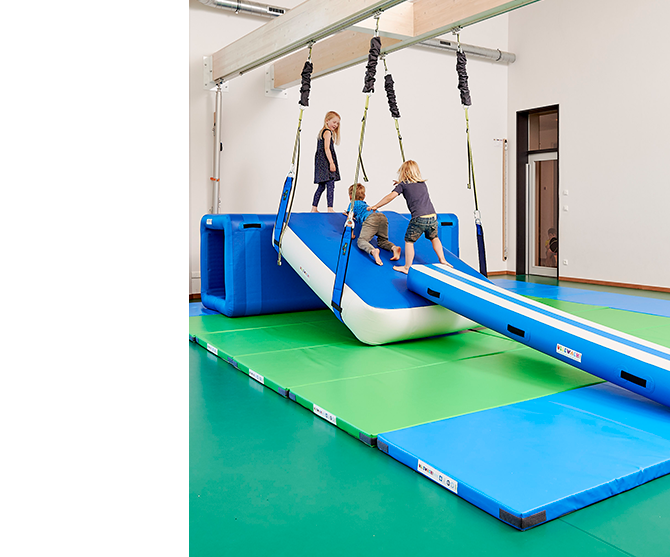 The air track is one of the best gymnastics training equipment ever make! It suits all ages, low to high levels. Airgym is specialized in custom made designs and experienced in manufacturing single piece adjustments, one-off projects and private label products. Because of our own production facility, we are perfectly capable to manufacture custom made products to offer the right solution to your needs. View our catalogue in your browser.